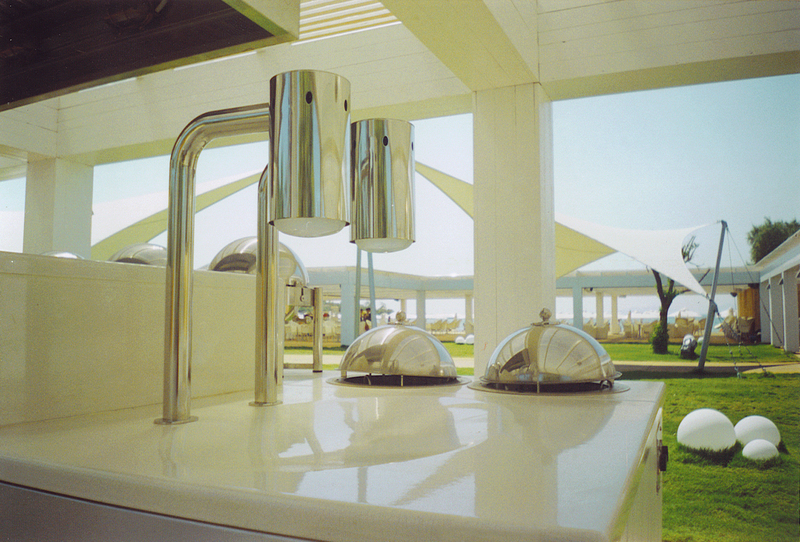 A perfect balance of aesthetic, resistance and ease of maintenance. 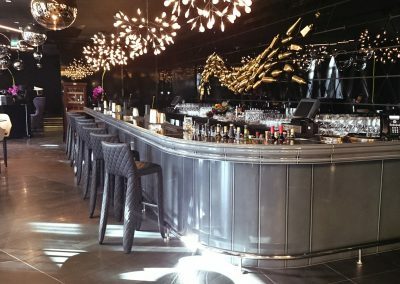 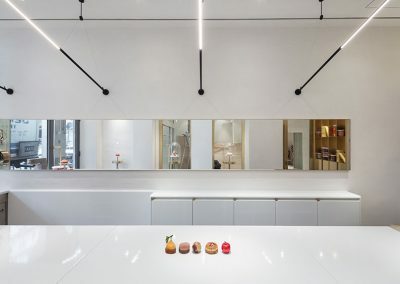 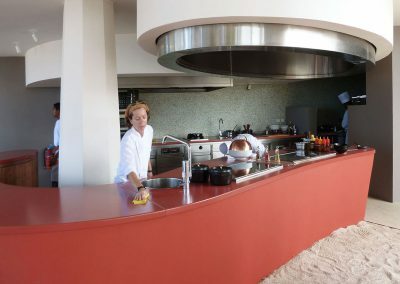 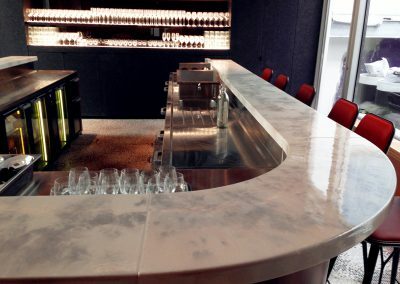 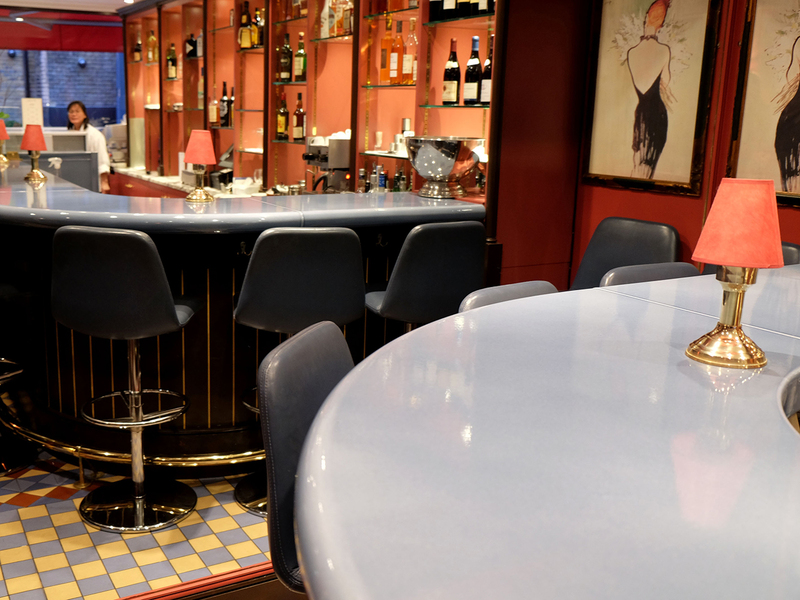 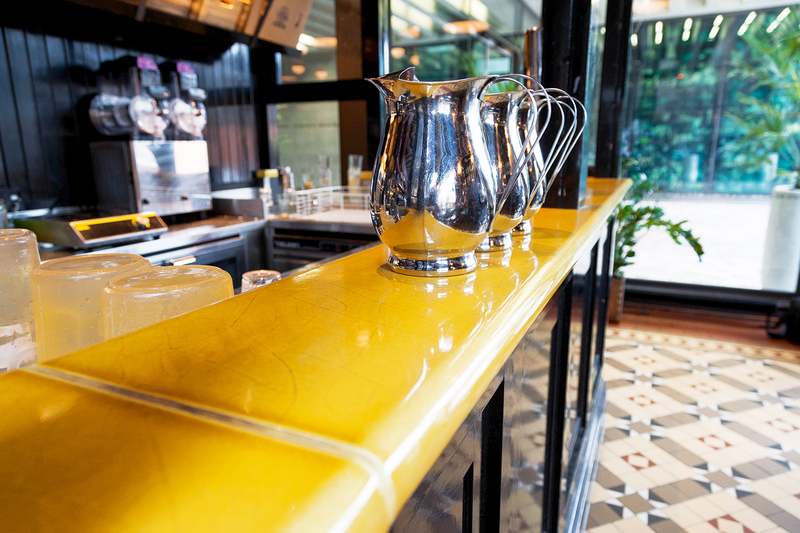 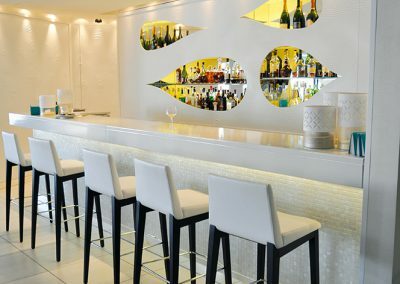 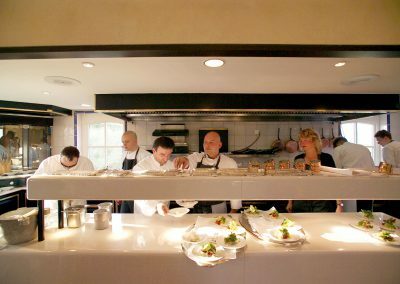 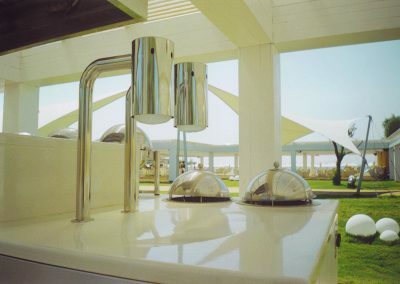 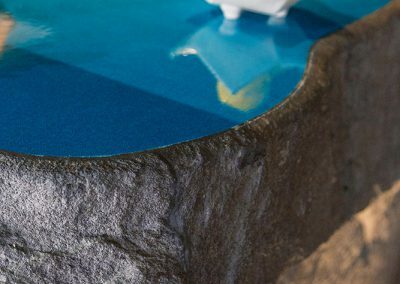 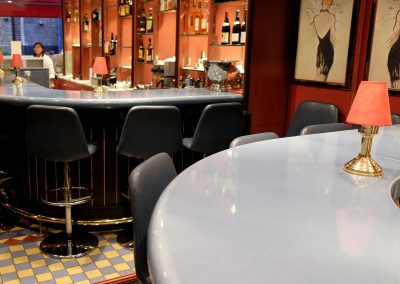 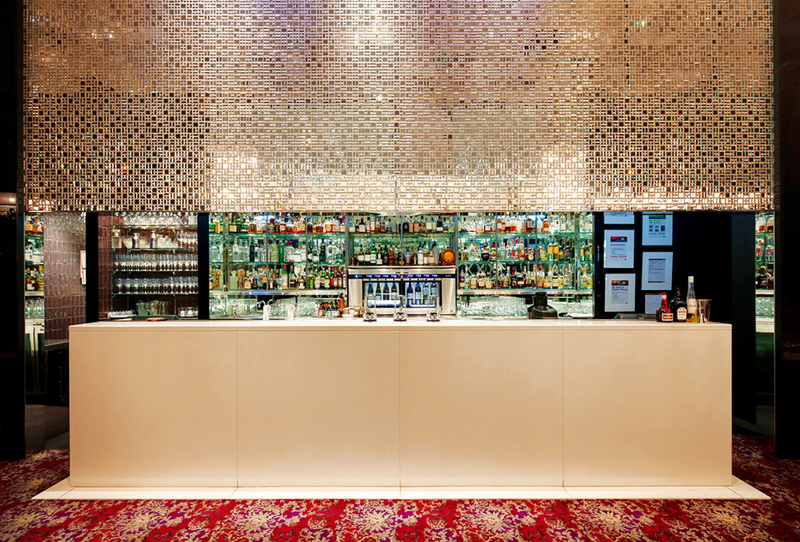 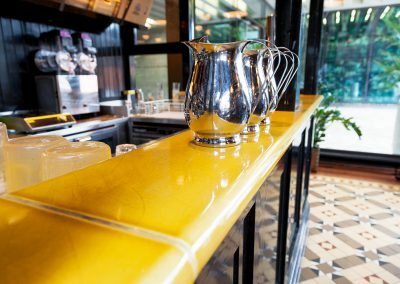 Designers of bars and high-end restaurants from all over the world regularly select Pyrolave enamelled lava stone for bar tops and servers counters. 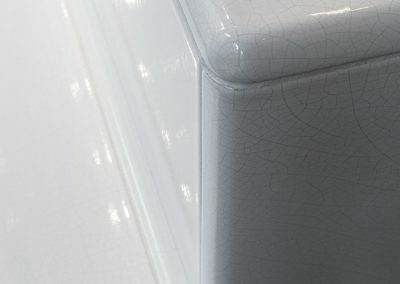 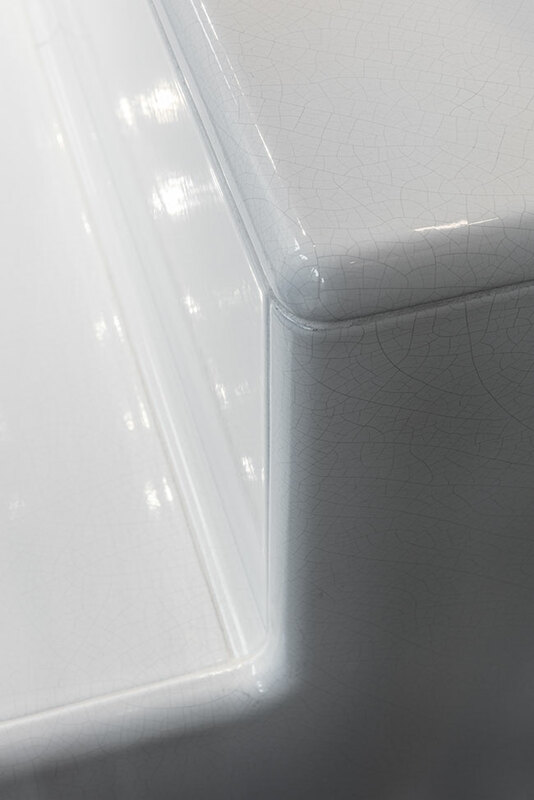 The unique aesthetic of this material, combined with its high resistance and ease of maintenance covers the highest requirements of furniture design. 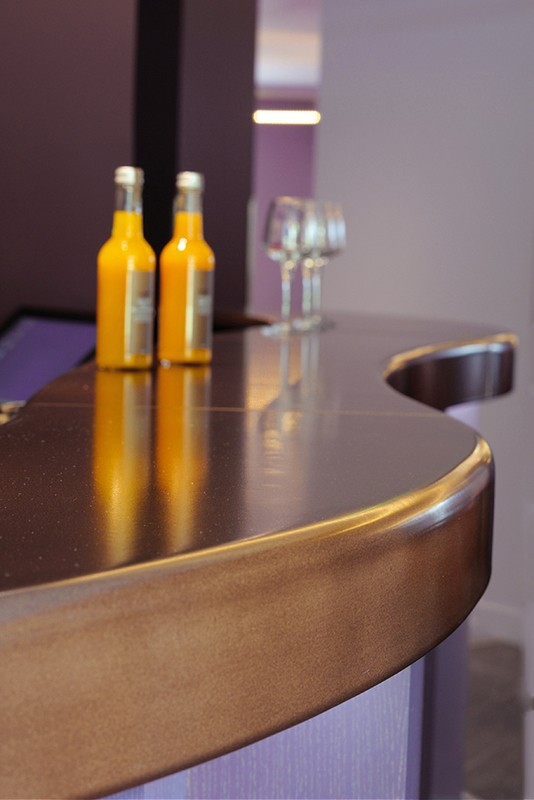 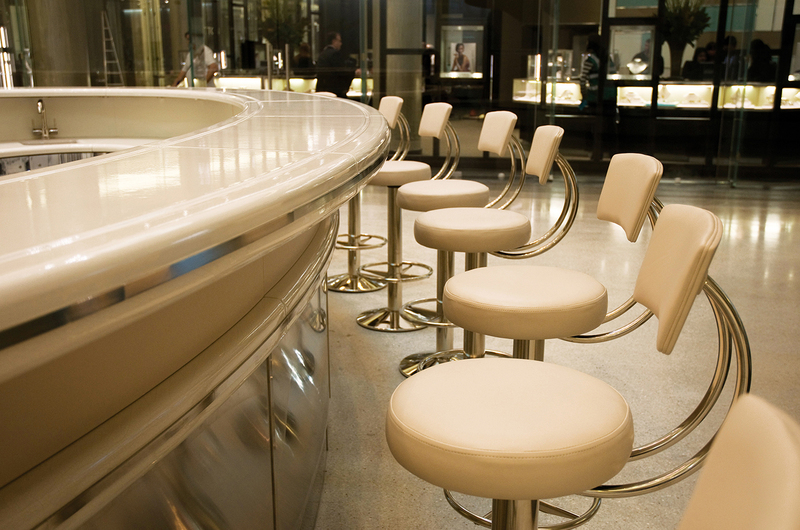 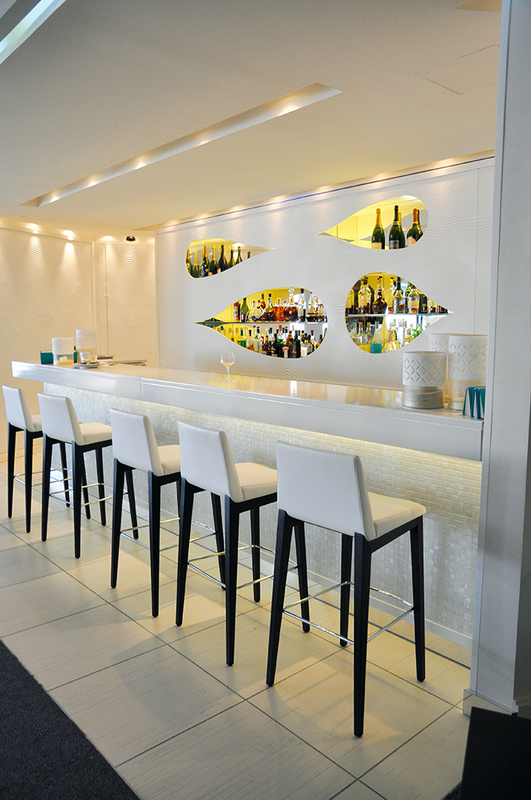 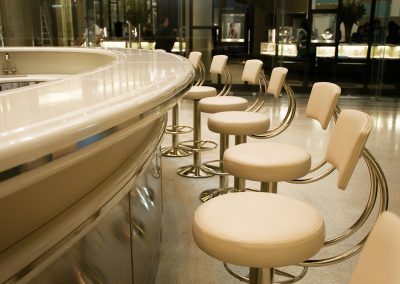 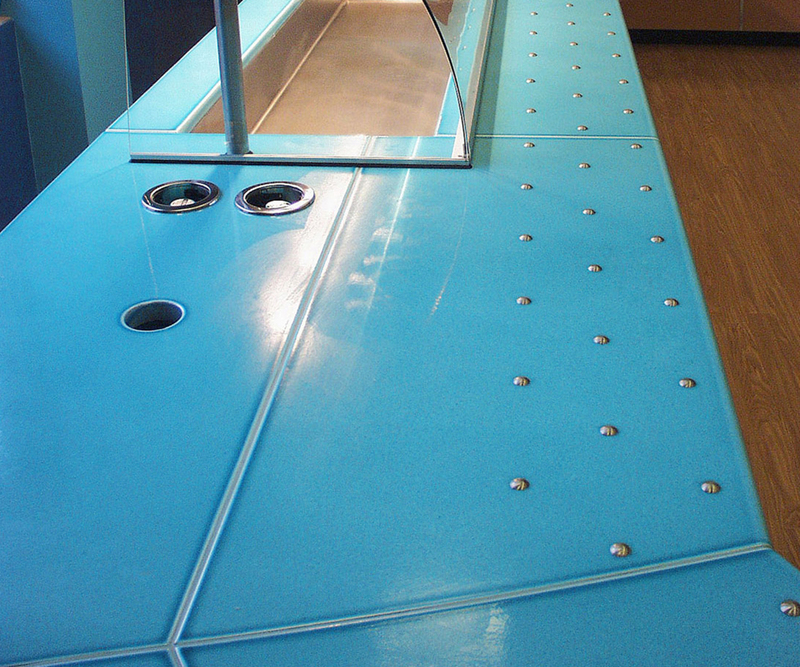 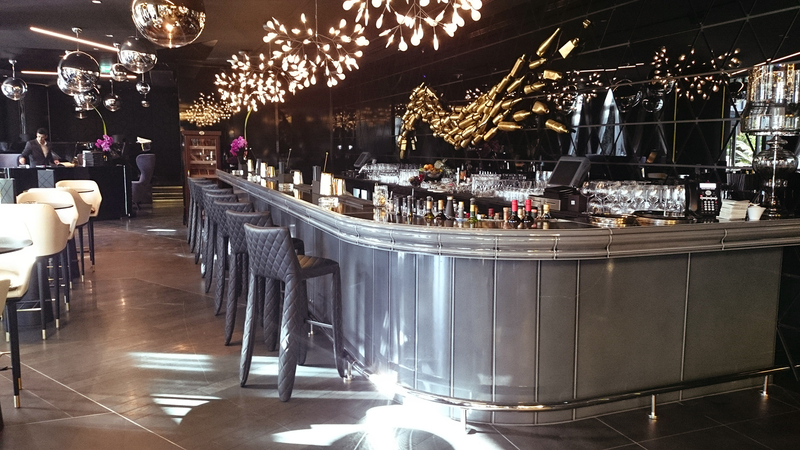 Pyrolave offers endless possibilities for bar top design. 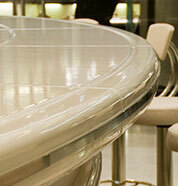 Whether it is straight lines or large radiuses and elegant corners, all shapes can be achieved. 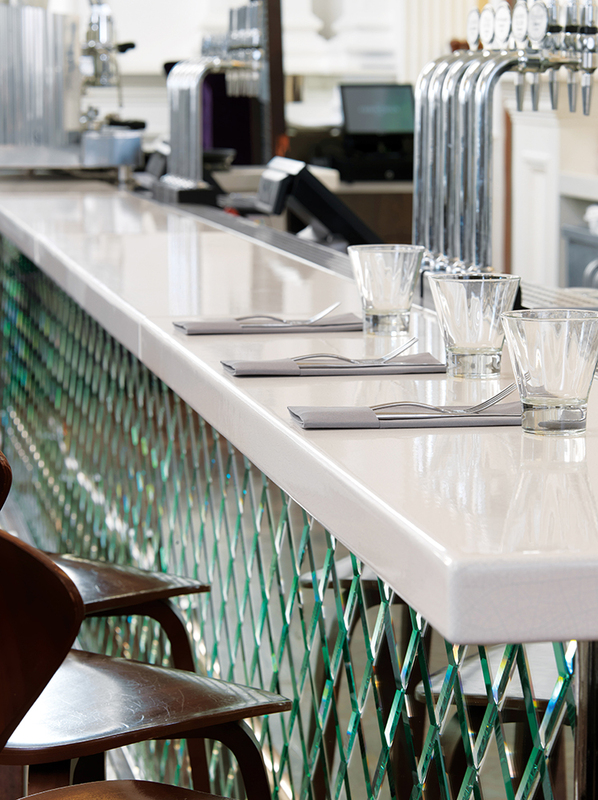 We offer varying thicknesses from 30-80mm and an endless palette of colour. 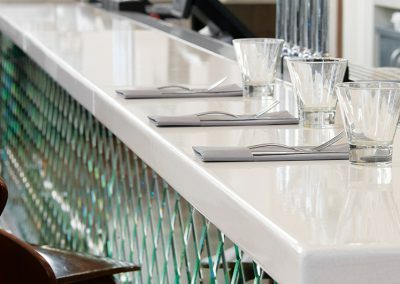 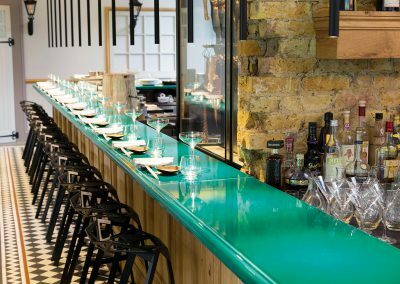 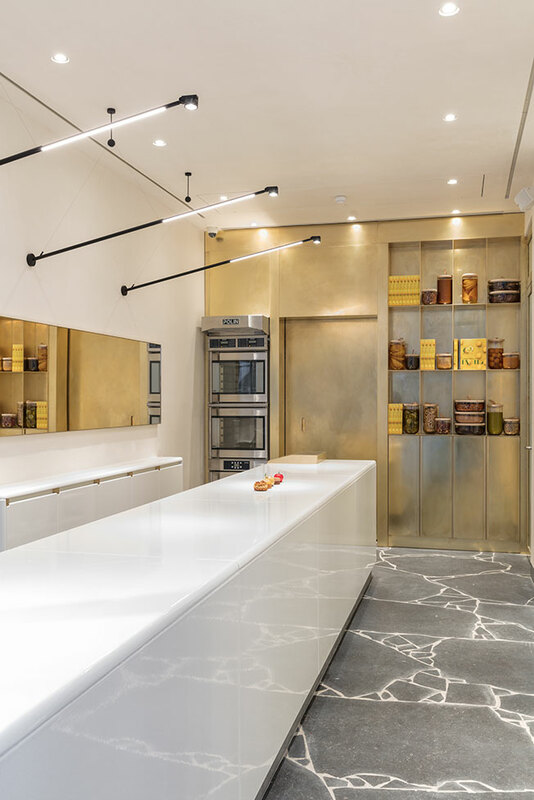 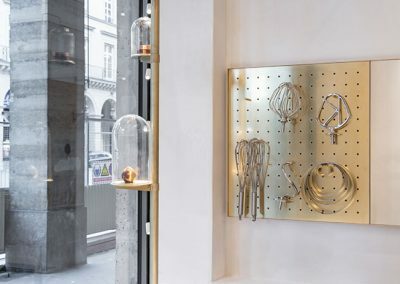 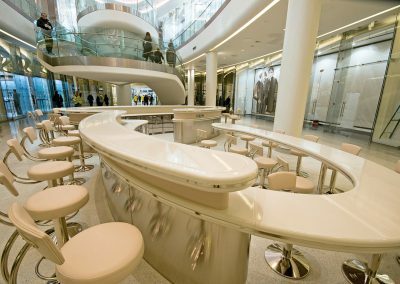 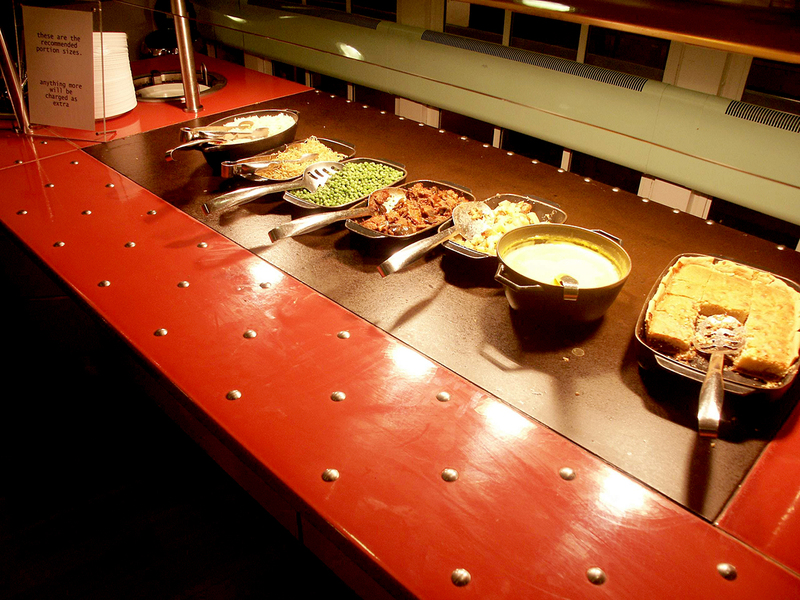 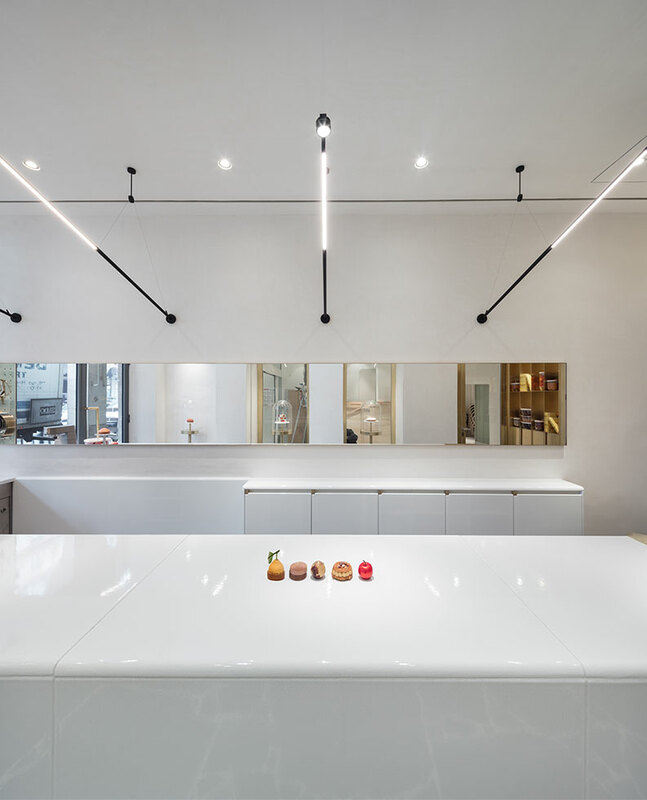 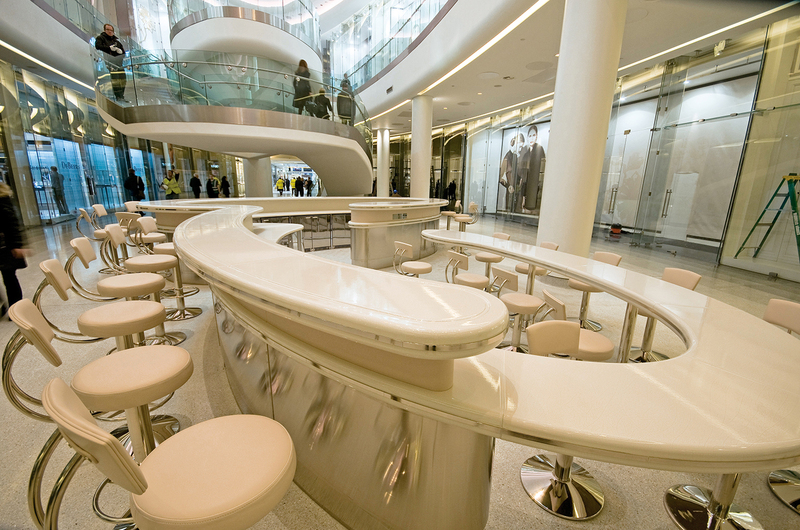 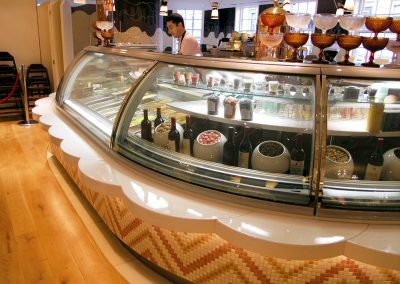 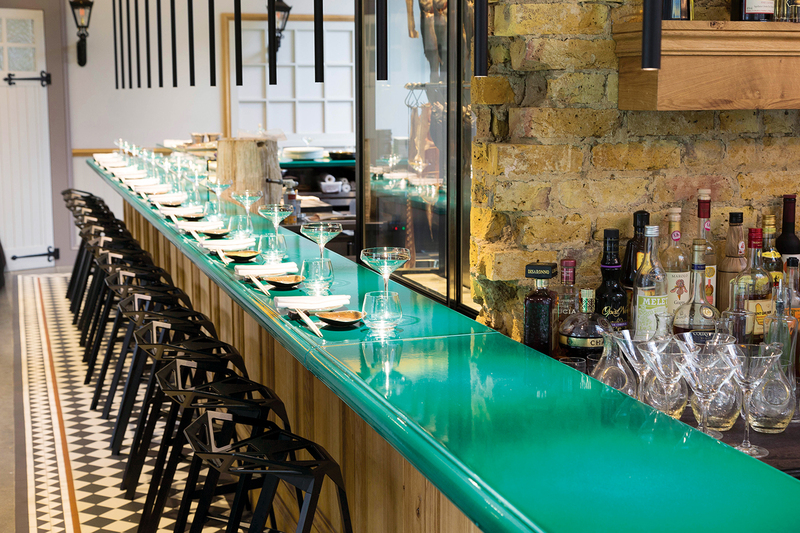 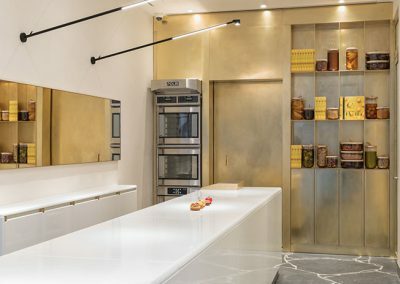 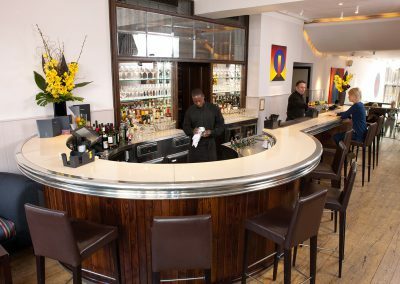 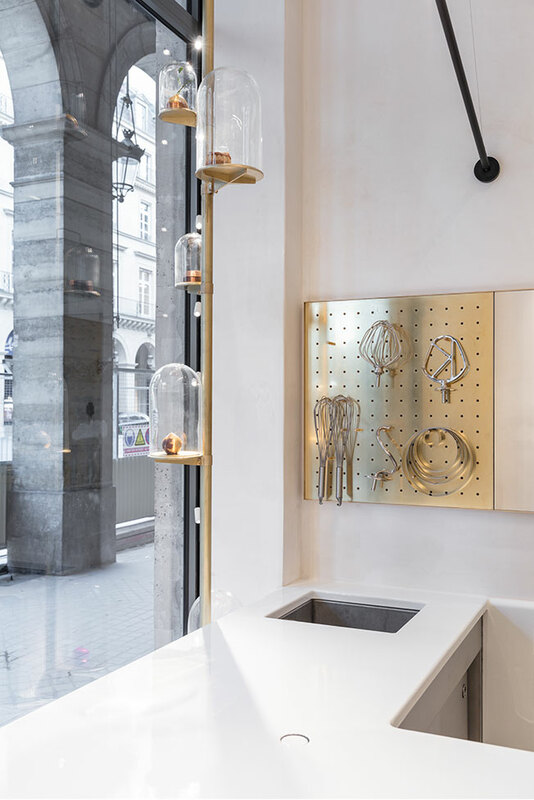 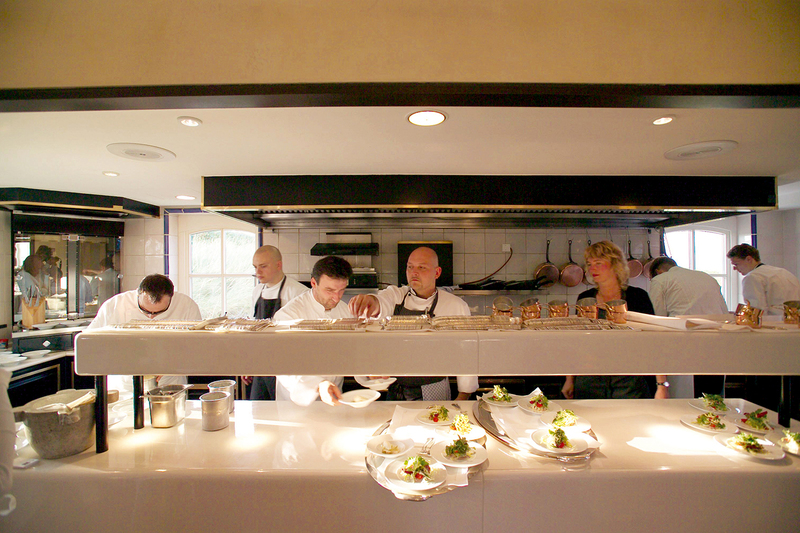 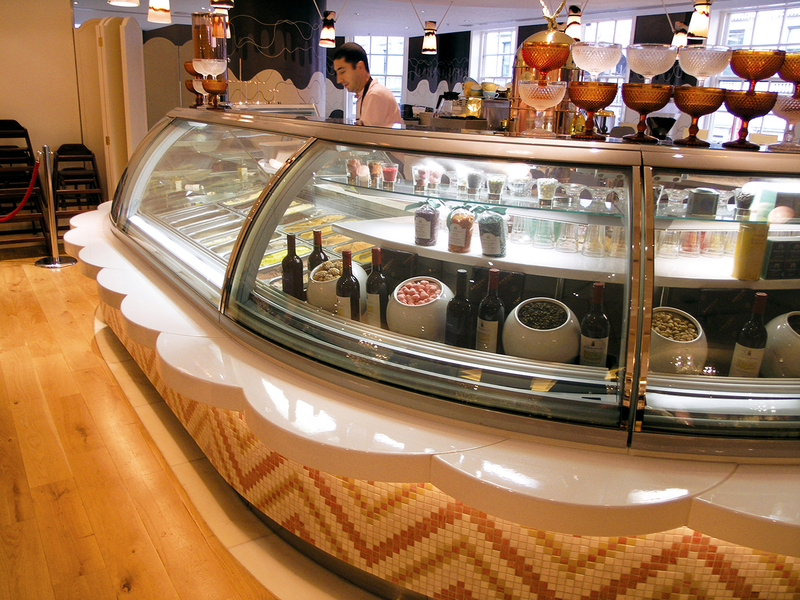 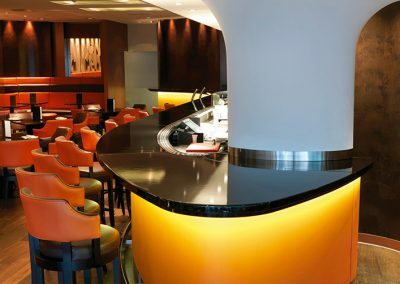 Our ability to offer bespoke cuttings allows the designer to include all buffet counter and servery essentials and to create aesthetic, ergonomic and functional designs. 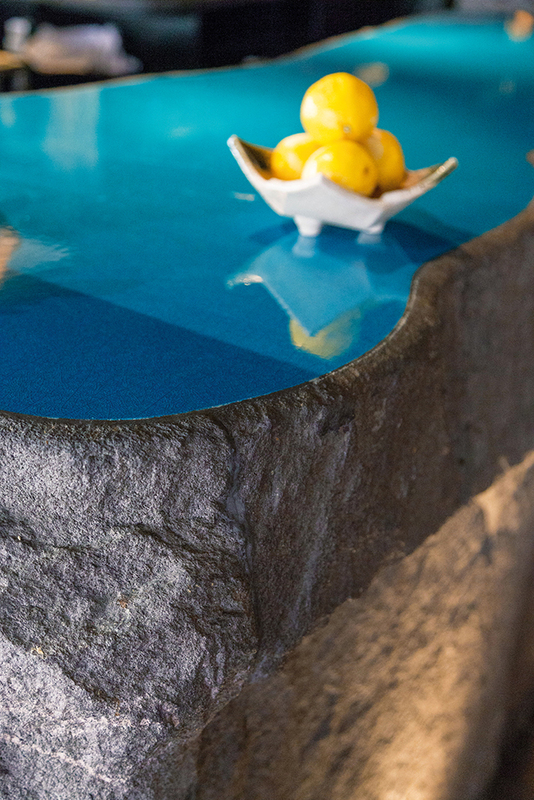 To obtain an extra-thick worktop, two slabs of lava can be stacked on top of each other. 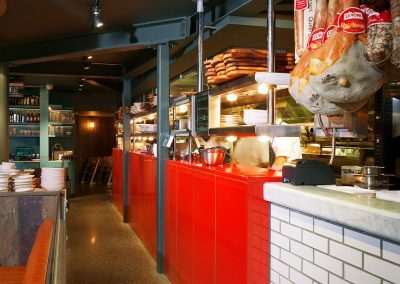 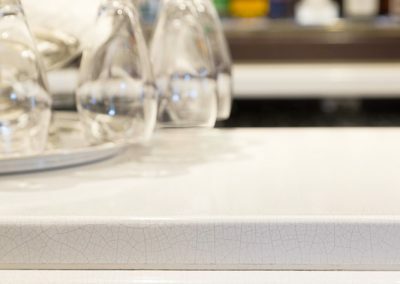 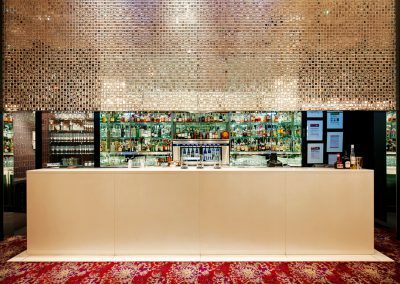 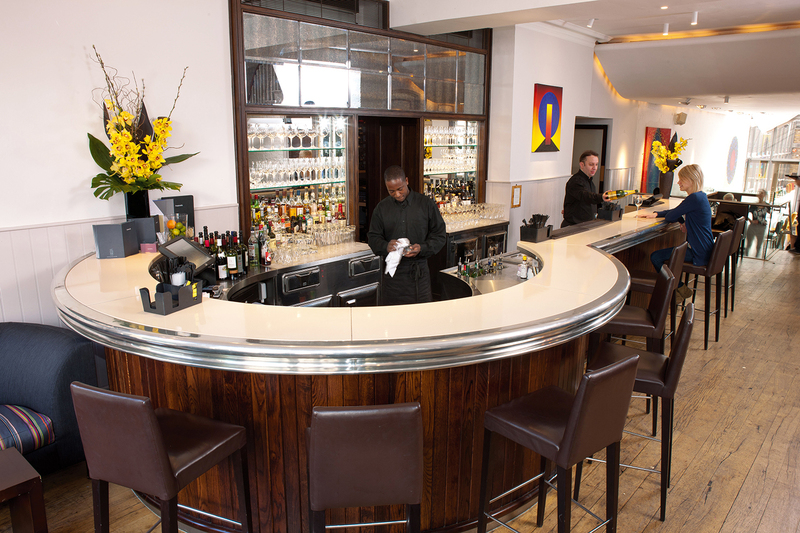 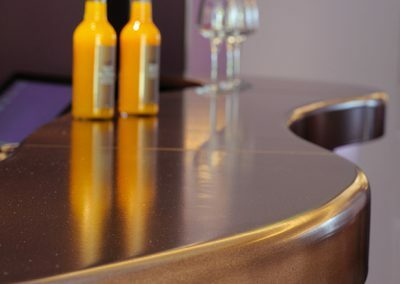 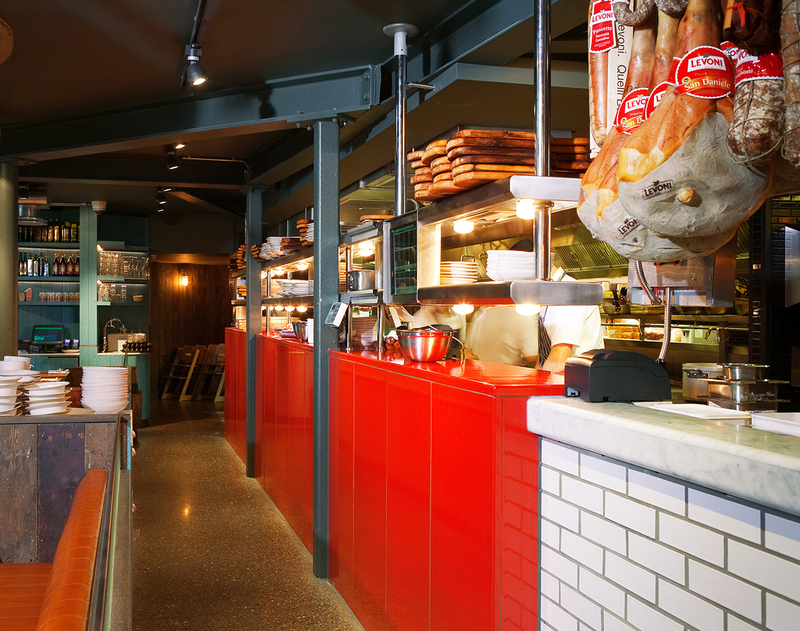 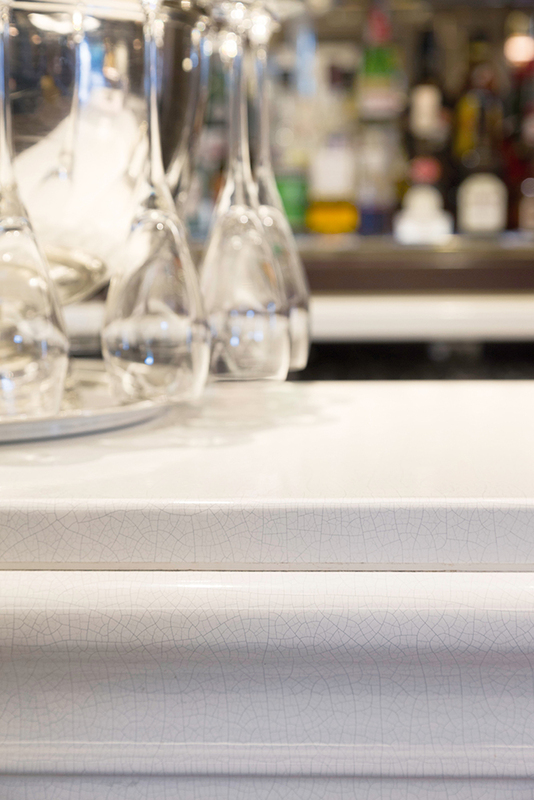 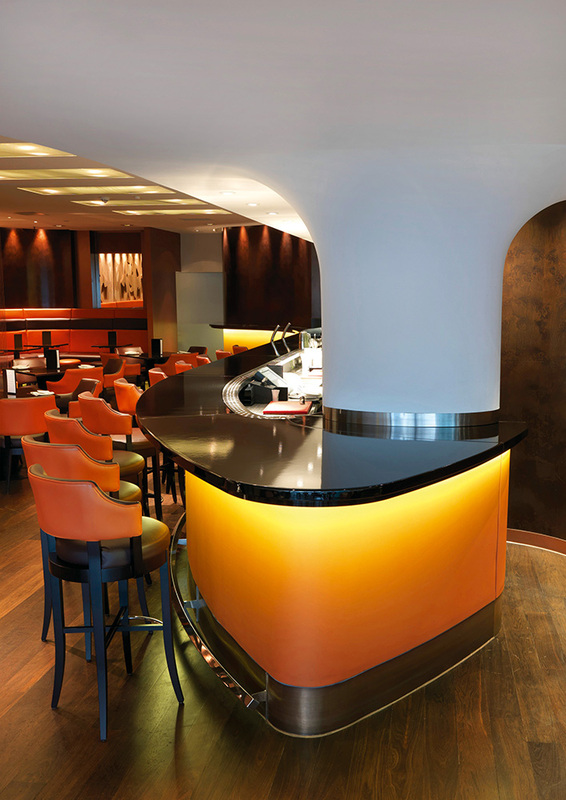 A stainless steel jointing strip joins the two together, making an unusual feature, whilst at the same time protecting this area of the counter, which can be prone to a lot of knocks and bumps in a busy bar area. 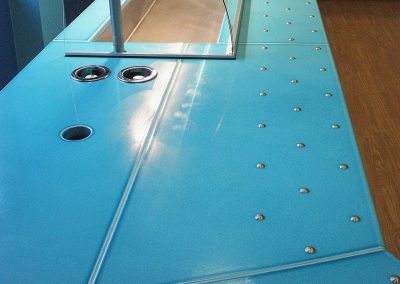 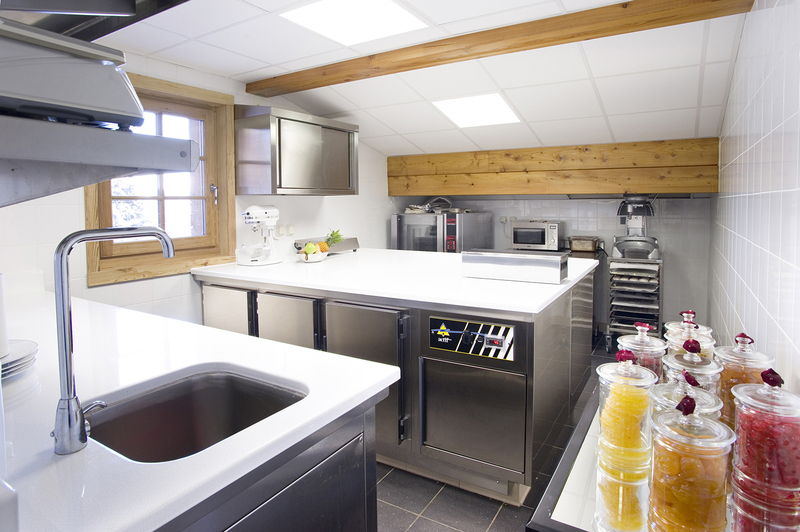 Worktops can be made extra-thick if necessary, but the underside of the upper worktop would have to be milled out. 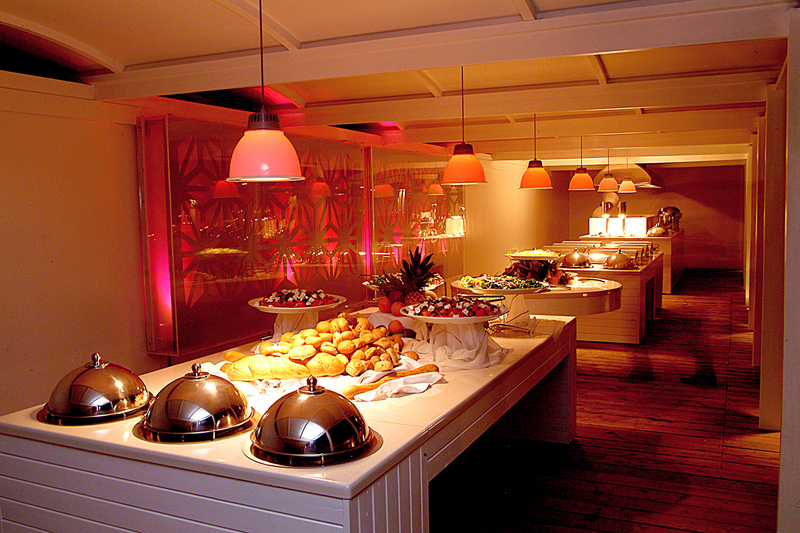 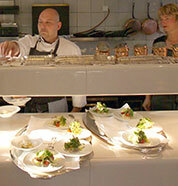 In this restaurant, it was useful to make room to install temperature control lights.